These creative kids created artwork and wrote books together from 2013-2018. Their moms hosted art and pizza parties, and helped them write, illustrate and publish a book together. 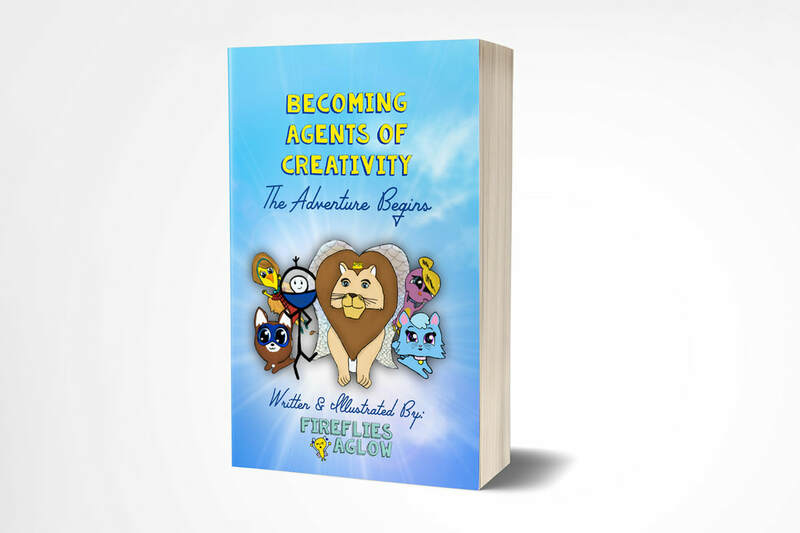 Becoming Agents of Creativity was published in 2018, just in time for kids to share their collaborative and personal books at the Ankeny Book Fair. While these young artists and authors still get together at youth group, the library and to play video games, you can find them doing their own creative projects. This young artist and author collaboration accomplished everything it was intended to... these kids are armed with creative tools and the confidence that their creativity can indeed change the world. Written and Illustrated by Emma, Aeva and Elina Meijer, Zoe and Elijah Olson. Each author created their own character. Then they each wrote a chapter bringing their characters together for a wonderful creative adventure. After encountering SuperLove, each character discovers their true identity and starts overcoming evil with good.